In going through old photos, I found photos of the Handbag Sampler I have been talking about recently. I haven’t actually found the blocks, but, at least, I have a photo and sort of know what I have. I found a photo of a Nosegay block that I made (or am in the process of making as well. 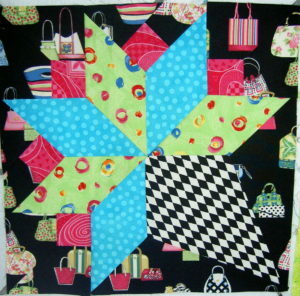 The 9th block is good, because that means, if I find the blocks, I can just put the quilt together. I don’t have to search out fabric, which is all very distinctive. Of course,in terms of learning, it isn’t quite as comprehensive a Sampler as the Aqua-Red Sampler. 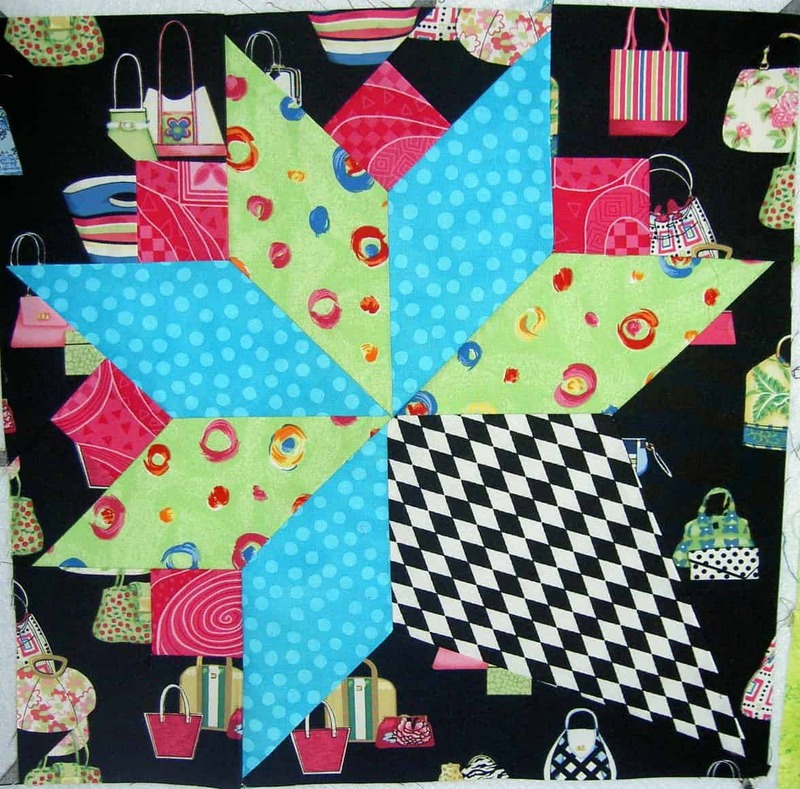 There is no applique completed. 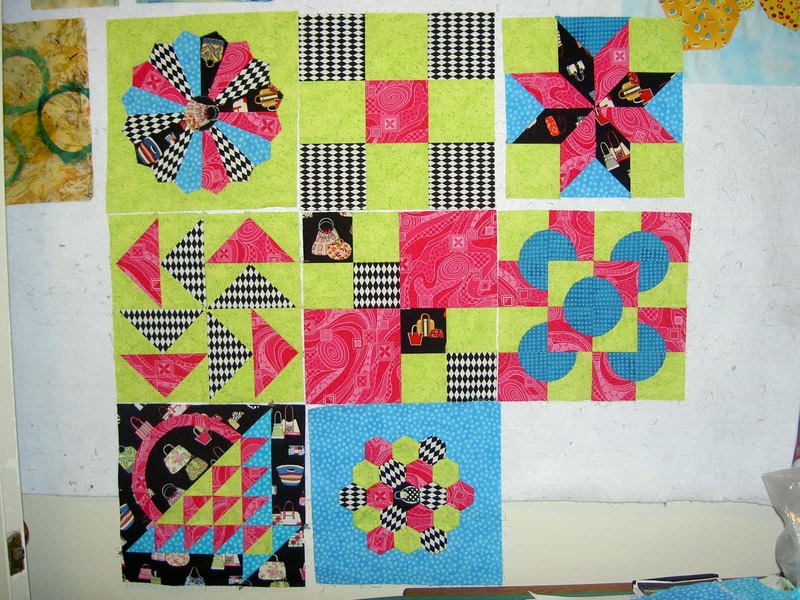 I have to find the blocks before I decide what other blocks to make.